Last month, the federal Drug Enforcement Administration proved its commitment to cracking down on synthetic drugs. As we’ve explained in the past, though some forms of synthetic drug are technically legal due to manufacturers finding loopholes in current drug laws, synthetic drugs are very harmful substances that can even prove fatal. K2, spice, and bath salts are just a few of the names these drugs go by — and you can find them in regular retail stores. Here’s more on the DEA’s recent crackdown and its impact on the synthetic drug industry. Last month’s synthetic drug raids focused on 29 states, including Massachusetts, New Jersey, and New York. Wholesalers, retailers, and synthetic drug manufacturers were the main target of the raids, with warrants served at private residences, warehouses, smoke shops, and other retail locations. This isn’t the first time that the DEA has tried to stem the manufacturing and distribution of synthetic drugs. In 2010, 5 main chemicals used in synthetic drug production were officially banned, forcing producers of synthetics to change their formulas. Of course, each time a new component is banned, synthetic drug manufacturers search for a loophole that allows the continued production of the drug. Even with recent successes in the war against synthetic drugs, manufacturers will probably continue to work around laws. As a parent or business owner, you should be concerned with synthetic drug use in the home or workplace. ARCpoint Labs of Worcester offers accurate, confidential synthetic drug testing – so you can rest easy knowing that your teen or employee isn’t using these dangerous substances! To learn more about our drug testing services, contact ARCpoint Labs of Worcester today at (774) 314-9551. 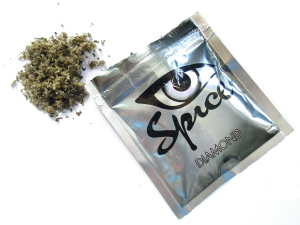 Lawmakers Looking to Ban Synthetic Marijuana in Massachusetts Massachusetts Teens Sneaking Drugs Into Schools – How Are They Doing It, & What Can Parents Do?